A stunningly ambitious and beautiful novel about a blind French girl and a German boy whose paths collide in occupied France as both try to survive the devastation of World War II. I initially learned about All the Light We Cannot See from various Booktube reviewers. I was honestly hesitant to pick up the book because I wasn’t in the mood for a young adult story. I just figured it was YA because that is the predominant genre reviewed on Booktube. It turns out that All the Light We Cannot See is not YA (figured that out half way through the story) and that it was a fantastic book to take a chance on. I loved how Doerr focused on sharing World War II from the point of view of two children. He did a fantastic job creating realistic, likable characters; each with their own fears, flaws, and strengths. Doerr masterfully weaves the stories of multiple characters through an intricate storyline, while still managing to provide realistic endings for all involved. 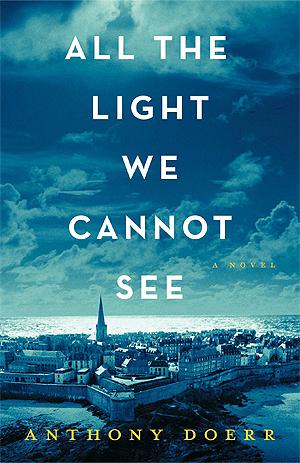 All the Light We Cannot See touched on so many tough subjects, including love, sacrifice, personal conflict, intellectual passion, and the many small aspects of life during wartime. It is a story that makes a reader think, and even know, I still find myself contemplating the details of Werner’s role. I felt the representations of the children were unique as Marie Lore is a young blind girl from a loving home in France and Werner a incredibly intelligent young man from a hard childhood existence in Germany. The way they processed the world around them, how they both struggled to survive, and the way their lives inexplicably come together like two trains on a head-on collision were just enthralling. My only complaint would be the storyline involving the cursed stone. It wasn’t my favorite. I really can’t explain why because I loved the art history and natural science of the story, and I understand the stone could represent the desperate hope of those fighting to survive. Sadly, this plot line just didn’t draw me in as completely as the rest of the book. With that said, All the Light We Cannot See is fantastically written. Doerr’s expert melding of different settings, characters, and times leaves you feeling as if you’re dancing through the story instead of bouncing from page to page. It is a wonderfully different story about the Second World War and great for readers of all ages! Have you read All the Light We Cannot See? Let me know what you think! And Happy (belated) Thanksgiving!